We provide excellence and quality in our rental instruments. Rodger A. Stearns has been making violins for 50 years. Enter student's names here, if applicable. Choose here which instrument is currently being rented. We provide great quality rentals for violin, viola, cello and upright bass. Our instruments are set up by our knowledgeable team for optimal sound and comfort. We make it easy for you and for your instructors. 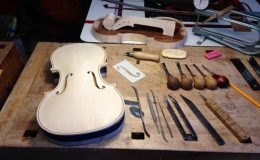 Restoration of fine professional and antique instruments is a major part of the work of our violin shop. Literally hundreds of instruments pass through our hands every year and our loyal customers bring or send us their precious instruments from all over the United Stated and internationally. 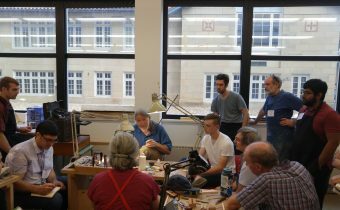 Both Rodger and Robert have studied with some of the worlds finest makers and restorers. They also do instrument repair, every thing from the most basic student repairs to the most complex. Sound tests done of Rodger’s two latest violins, played by Jessica Stearns. We are now offering lessons in our very own onsite lesson studio. If you are interested in taking violin, viola, cello or voice lessons, please follow the link below to get more information. Rodger Stearns beautifully brought back to life my beautiful Remy violin that had been maliciously defaced and broken. Most thought the violin could never look good though repaired, however, that was not the case. 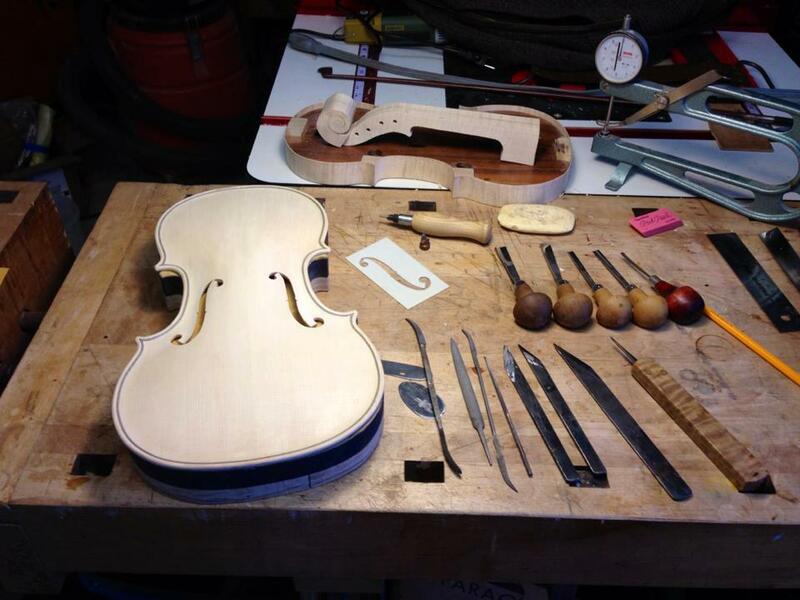 The restoration brought the violin back to its original beauty and tone quality. I have been grateful to know such a fine craftsman as Rodger Stearns."